Descended from generations of extraordinary equestrians, Lauren Gallagher longs to be left alone with her horses. 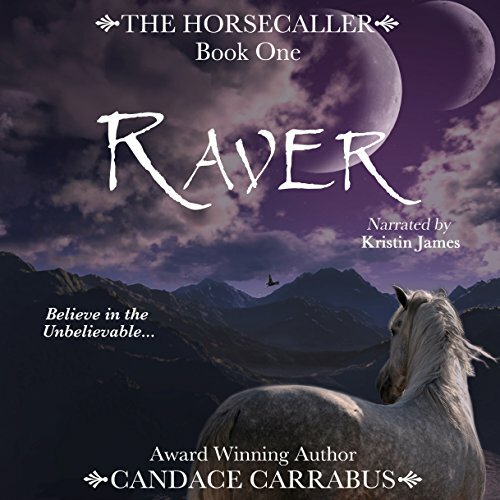 When a strange man arrives seeking a particular rider, she and her mount, Pindar, are abducted through the Ravery to Cirq, a dying land bereft of its beloved steeds. There, she encounters Supreme Guardian Leinos who awakens her long-dormant hope for the future. Lauren denies she is the prophesied Horsecaller but is drawn into his quest to return Cirq to greatness. Soon, she's fighting giant venomous birds, a hostile queen, and the unfamiliar yearnings of her own heart. But time is running out. Conspiracy threatens from all sides, and not everyone looks upon Ravers with kindness. Will Lauren and Pindar bring Cirq's horses home before it's too late? A story of life, love, and the secret places we dream about. Descended from generations of extraordinary equestrians, Lauren Gallagher longs to be left alone with her horses. When a strange man arrives seeking a particular rider, she and her mount, Pindar, are abducted through the Ravery to Cirq, a dying land bereft of its beloved steeds. There, she encounters Supreme Guardian Leinos who awakens her long-dormant hope for the future. Lauren denies she is the prophesied Horsecaller but is drawn into his quest to return Cirq to greatness.